The University of Arizona’s (UA) efforts to prevent valley fever in dogs received a boost in the way of a $4.8 million, four-year grant from the National Institutes of Health, providing the funding necessary to get the disease’s delta-CPS1 vaccine to market, according to John Galgiani, MD, director of the UA Valley Fever Center for Excellence and principal investigator of the NIH grant. The vaccine, which could hit the market as soon as five years from now, will be developed for dogs first, but the end goal is to use it in humans, as well, according to Dr. Galgiani. There is currently no prevention or cure for valley fever, which is potentially deadly in both humans and dogs. Every year, an estimated 30,000 people and 60,000 dogs in Arizona get sick from valley fever, also known as coccidioidomycosis, according to UA. The cocci fungus that causes the disease is found mainly in dusty areas of Arizona and California, and it contributed to the deaths of 54 people in Arizona last year, state officials said. Treatment for valley fever is expensive: $4 to $6 per-day meds, blood tests, and additional testing can lead some owners to euthanize their pet. Dogs with the disease can often lose large amounts of weight, and the disease can cause lameness, pain, or even paralysis in some cases. 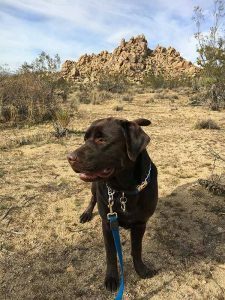 The risk factor for acquiring valley fever is the same for dogs as for humans; in parts of California and Arizona, it’s impossible to avoid. It takes inhaling just one cocci spore to become infected, though, like humans, most dogs who acquire valley fever will not get sick from it. Those that do can face amputations or worse. The UA team said it faces several hurdles in getting its vaccine to market, including proving to the U.S. Department of Agriculture that it’s safe and efficacious, and determining how to make it as a commercial product with a shelf life.